Last week, Hertz launched an advertising campaign that creates a cool image for rental cars. The New York Times reports that the campaign uses a mascot named Horatio—an animated dashboard figurine voiced by actor Owen Wilson—in a series of commercials directed by Tucker Gates. Hertz hopes the new mascot will refresh their image and help make the brand friendlier to new consumers, especially the 20-somethings who are the target audience of the campaign. In addition to Horatio, the Hertz campaign also features two real-life travel personalities named Gas and Brake. Three episodic commercials starring Gas and Brake are scheduled to run over the next month. The first spot highlights their very different personalities, from childhood to adulthood, while the second ad features them in a broken-down bus in Mexico where Brake uses the Hertz mobile application to rent a car. The third spot shows Gas fantasizing about the variety of cars that Hertz offers. The social media side of the campaign includes a microsite, Gasorbrake.hertz.com, featuring outtakes from the commercial shoots and interviews with Gas and Brake. The site also has personality quizzes where visitors can see which character they resemble, then share their results via Facebook and Twitter. A separate site, hertzgiveaway.com, lets visitors enter a contest to win one of 100 free weekend car rentals and a chance to win a Chevy Camaro SS. This new campaign is designed to be extension of the company’s recent branding campaign called “Journey On” that focused on providing a smooth travel experience. 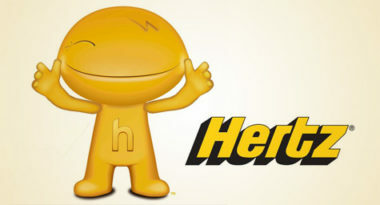 Hertz is also planning to take Horatio abroad through print and digital campaigns targeting markets in Britain, Italy, Spain, the Netherlands, France, and Germany. Hertz hopes the campaign will help to redefine the company as a culture brand by revving up the cool factor of rental cars.